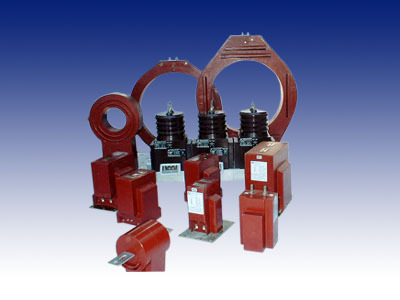 Amran offers MV current transformers from 5kV to 35.5 kV Class system voltage. CTs are encapsulated with epoxy or polyurethane resin cast construction. The core and coil assemblies are vacuum molded to ensure homogenous, bubble-free construction. The CT construction provides high dielectric and BIL strength. Amran provides various construction options for these types of CTs. Amran has many models with window style construction. The CTs can be supplied with round or rectangle window in the center. This provides easy installation for customer as they can use their primary cable or bus bar through the CT ID. Usually these CTs come with equi-potential shield around the ID surface. This equi-potential screen is attached with a pig tail (lead with connector) which comes out of the ID surface. This arrangement allows uniform distribution of charge (non-concentrated) around the surface which further ensures that the CTs withstand high current and high voltage environment in long term use. Amran also offers a range of wound primary CTs where primary and secondary terminals are usually taken out on top surface of the CTs. Customers can do the primary connections using these terminals. The bus bar type CTs construction usually have resin cast CT with bur bar built into the construction. Various primary bar arrangements can be supplied to suite most applications. CTs come with our without mounting bracket. CTs are designed to meet IEEE C57.13 or IEC 60044 standards. Partial discharge test is carried out as per Canadian CAN3-C13-M83 or as per IEC 60044. Standard burdens are used to measure accuracies (ratio and phase angle error) on calibrated accuracy test bridges. Hi-pot tests are carried out as per the required standards.